Poet, Professor Will Lead Organization Dedicated to Strengthening Poetry’s Role in American Culture. CHICAGO—The board of the Poetry Foundation has voted unanimously to appoint Robert Polito the next president of the organization. He will begin his tenure on July 8, 2013. Until that time, inaugural president John Barr, who announced his retirement early in 2012, will continue as president and will aid in the transition. A highly respected poet, critic, and biographer, Polito has served since 1992 as director of Creative Writing at The New School, where he founded the MFA Program in Creative Writing and (with Len and Louise Riggio) the Riggio Honors Program: Writing and Democracy. Born in Boston in 1951, he earned a doctorate in English and American language and literature from Harvard University. Polito’s poetry, which blends lyric, collage, and narrative impulses and draws on both American pop culture and literary tradition, has been collected in two books, Hollywood & God (2009) and Doubles (1995). His scholarly works include A Reader’s Guide to James Merrill’s The Changing Light at Sandover (1995) and Savage Art: A Biography of Jim Thompson (1996), for which he received a National Book Critics Circle Award. Polito’s interest in crime novels and film noir has served him as editor of several books on cinema, poetry, and popular culture of the American midcentury. He has written about Manny Farber’s paintings, the music of the Kinks, Andy Warhol and Andrew Marvell, Bob Dylan, the Pogues, Orson Welles, Elizabeth Bishop, Jean Vigo, and Allen Ginsberg’s Howl, among many other subjects. The recipient of numerous honors and awards, including fellowships from the Guggenheim Foundation and the Ingram Merrill Foundation, Polito is a contributing editor to BOMB and the Boston Review. His poetry, essays, and criticism have been published widely, including in the Best American Poetry, Best American Essays, and Best American Movie Writing annual anthologies. Others in the poetry community echoed Kenney’s sentiments. “His work has always been on the cutting edge between public and private—between the institutions and traditions that allow art not only to exist but to flourish, and the fate of the single generating anarchic soul working inside them,” Bidart said. Polito’s colleagues at The New School also had high praise. “His leadership has been visionary, and in his new role, he is poised to bring that energy of invention to the entire poetry community,” said Honor Moore, who has taught with Polito for more than a decade. 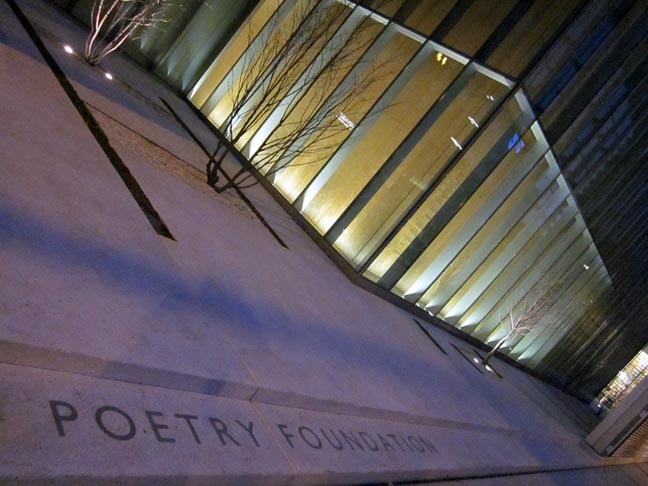 Established following a stunning 2002 gift to Poetry magazine by philanthropist Ruth Lilly, the Poetry Foundation has used its nearly $200 million endowment to support the magazine and for the long-term benefit of poetry in general. The Poetry Foundation is dedicated to increasing the art form’s presence in American culture by bringing poetry of the highest quality to the largest possible audience.